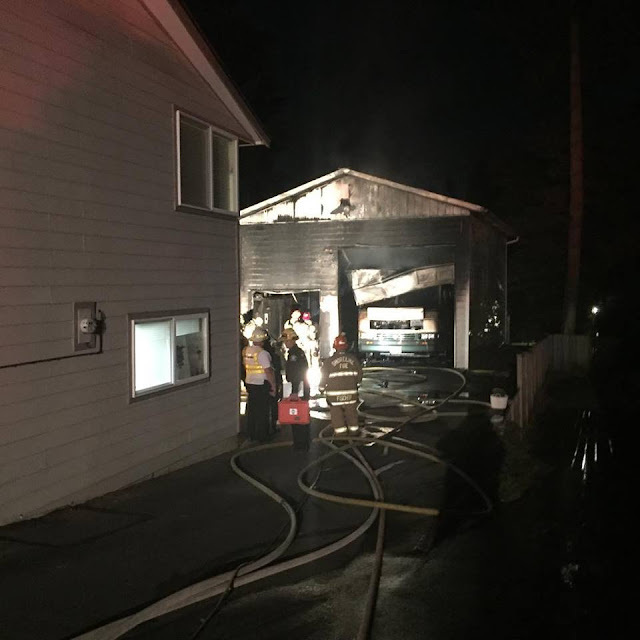 Shoreline Fire reports a residential garage fire at 9:18am Tuesday which was extinguished by 9:33am. The fire, at 180th and Sunnyside Ave N, was contained to the garage. This was a hot one - it melted the railing on the house, the headlight on a vehicle connected to the house, and the heat broke a large window on the house. The times on this are wrong, the fire was around 10pm.